NOTE: You will not be able to play without making an application. you deserve- and we expect you to treat others fairly. well. If you are a teenager who think swearing is cool you might not like it here. #1 - Don't nag, beg, spam and swear. #2 - Do treat others with respect. #3 - Don't grief, abuse, dupe, cheat, hack and other things your parents wouldn't like you to do. #4 - Do tell staff members if something is wrong, but adhere to #1 and #2 when you do it. - Creeper Explosions don't destroy blocks. - Mystcraft is disabled due to multiplayer instability. - Take a shortcut away from spawn with "/warp"
- Get stone tools with "/kit tools"
- Claim a chunk of land with "/chunk claim”. 7 chunks of land per person. - Allow others to build on your land with "/chunk add InsertPlayerName"
- Inspect the size of chunks with "/vc"
- We have balanced the Minium Stone from EE3 to have less charges in an attempt to further balance alchemy. own server to continue providing for the community). Plugins: AutoMessage, Backup, ClearLag, Essentials, HawkEye, PlugMan, SimpleRestart, SwearingBlocker, Vault, WorldBorder, WorldEdit, WorldGuard. Spawn House with "Spawn Town" by WhyHiThere behind. obtained by selling Iron, Gold and Diamonds. message me the application on this forum, NOT INGAME!) and answer the questions. decides if you are accepted as a builder or not! IP address: stl.hopto.org Note: You have to apply to Build. Have you read through the thread as you should to avoid unnecessary questions later? Caution: You will get a warning if you ask questions answered in the "Features"-part of the thread. What makes you interested in Sweden Tekkit Lite? Host is nearby so no lag and can't find good server where i can be for long time and not griefed. decent tekkit lite server that has a good comunity! What makes you interested in Sweden Tekkit Lite? Perfect place to make a train system between players factories, houses, etc., if steve carts are enabled! PS IM GETTING MINECRAFT TONIGHT. PLEASE! PLEASE DONT BAN ME FOR SAYING THIS! I dont currently own it but i have been playing with a pirated technic pack and minecraft to see how fun it is. I loved it so much im buying it tonight. Please im not griefer, and would like to make a railroad with out the fear of griefing. Thank you for your kind consideration. Im hoping you have steves carts! :D Awesome! Thank you! I look forward to joining! I will try to be on in 2 hrs. Will we find a ban record of you on a banlist like for example mcbans.com? No. I have not once been banned from a server. 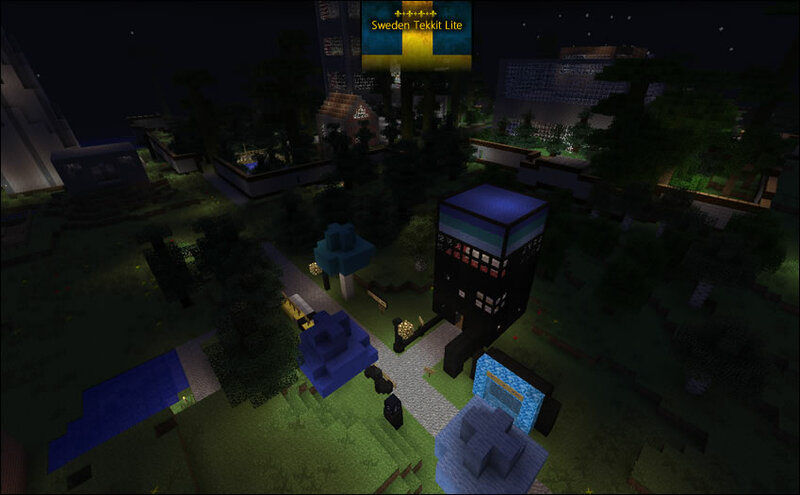 What makes you interested in Sweden Tekkit Lite? I want to play on a tekkit lite server and this one is quite to my liking. It's not to strict but it's not total chaos. EAGLESIGHT ******I JUST MADE MY ACCOUNT AND ZEPHSPACER IS ALREADY TAKEN! What makes you interested in Sweden Tekkit Lite? It is a very organized server, which has many plugins that prevent griefing, I have had many bad experiences on other tekkit servers with griefers and the Rules align with my values in a good server. Zephspacer, it's best if you join the server. I have not been able to make you a builder yet. Come in and talk to me and we'll see how it goes. What is your favorite part of Tekkit/Tekkit Lite? redpowering myself to full automation! What makes you interested in Sweden Tekkit Lite? 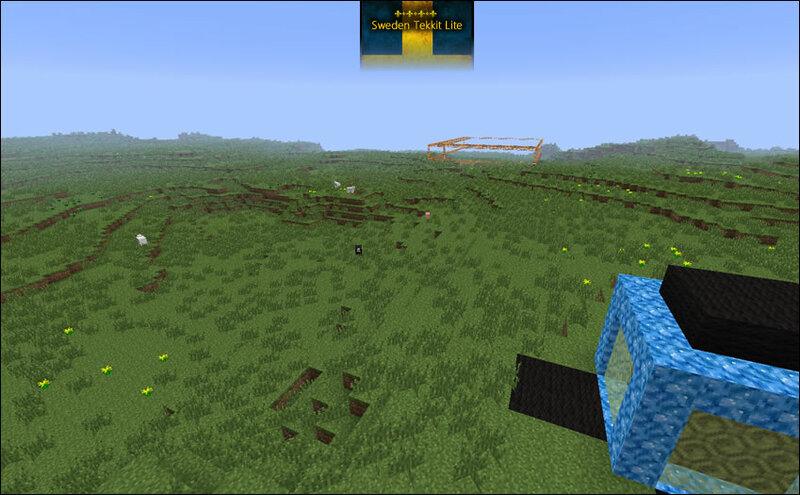 Well it's a new tekkit lite server. I've been on a few and all have been rather disappointing since the admins have been running their servers very poorly. It's my hope that this server will be the one I choose to stay on. Could it be possible to add my friend aswell? "lolom123" He's asleep atm but what I wrote will be pretty much exactly what he will write. In what country do you live? The US. Will we find a ban record of you on a banlist like for example mcbans.com? You shouldn't. What is your favorite part of Tekkit/Tekkit Lite? My favorite part of Tekkit Lite is Mystcraft, but since most server have that disabled and don't feel like playing on single player, I'm forced to play on multiplayer. My favorite part of multiplayer tekkit would have to be just the ability to just build and mine while talking to other people. What makes you interested in Sweden Tekkit Lite? This page looks pretty well-made, and it looks like you dedicated at least SOME time toward making the rules and this page. It looks like a server I want to play one. just 2 for nothing big. What makes you interested in Sweden Tekkit Lite? i wont a tekkit sever to play on that has 99% up time. Will we find a ban record of you on a banlist like for example mcbans.com? Nope, not ever. What is your favorite part of Tekkit/Tekkit Lite? Don't know really. Everything. The whole package brings so much more to the actual longevity of gameplay in Minecraft. 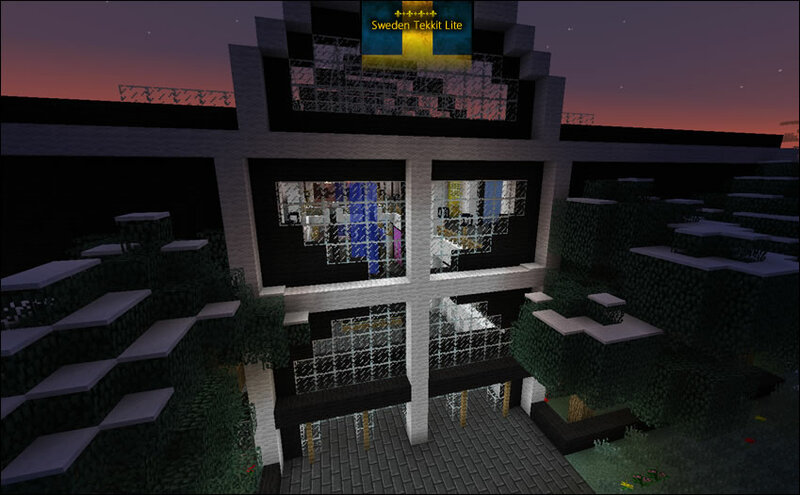 What makes you interested in Sweden Tekkit Lite? Seems like a solid server. The few I've tried lags horribly. And why not play on a server thats in your homecountry, eh? You were found banned on MCBouncer. Please resolve your ban with them and I will gladly let you play here.